How are DUI cases won? A DUI case is won by using a winning strategy: planning and diving deep into the facts of the case. A losing attorney frequently accuses the loss for illegitimate witnesses or a corrupt jury. The inability to execute a planned offense or defense is regularly the cause. The assumption of the case gives the jurors a passionate connection to your case. It is a short statement that members of the jury can tell their family saying why they voted a specific way (“The officer violated the defendant’s 4th amendment rights” “The breath test machine was not operated properly or malfunctioned”). A planned attack is used to give the case substance. If the assumption of the case is why the jurors voted the way they did, the planned attack is how they figured out how to arrive at that conclusion. The fundamental methodology to planning the attack in a drunk driving case: make everybody understand that your guilt is not an inescapable result. Connect each piece of the case to alternate parts of the case. Show that the case is not standard. Understanding that guilt is not an inevitable end product is the glue that holds the organized attack together. It overlies each part of the case, including persuading yourself that the attack will succeed. In the event that you can’t persuade yourself, how persuading will you be before the jury? The way to winning drunk driving trials is to persuade the jury that the case is definitely not a completed item. Tell the members of the jury that there will be a battle in the court, and they will have front row seats. Just this gives you a shot. Continually search for approaches to connection one object in the case to another. Connecting the distinctive parts of the case fortifies the general case. Search for however many courses as could reasonably be expected to organize the attack- cross reference the confirmation. Look to have no less than two points of proof to bolster any claim you are making. At the point when you are first laying out your case, make a list of claims with distinctive points supporting those claims. You can center your time during trial demonstrating that your speech was not slurred. You may even have witnesses who can affirm that you talked in a normal voice. Cross-examining the officer will demonstrate that the officer did not know how you typically sound in light of the fact that they never talked with you before your arrest. There are a number of variations to this. But, in the event that you do this, your trial will wind up with a dialog of how slurred or unslurred your speech was. Is this truly where you need to be the point at which the members of the jury begin to deliberate? Contrast this with indicating that the police officer gave the field sobriety tests in a bad area. Then describe how the officer did not lead the field sobriety properly, and went ahead to direct the observation period before the breath tests were given. Cases are about what truly matters to the case. Members of the jury connect significance to what the defense and prosecution in the court make significant. In the event that you have proven that you talked normal, show it- but don’t make this the concentration of your case. Planning has a great effect on the outcome of your case. Be exhaustive. 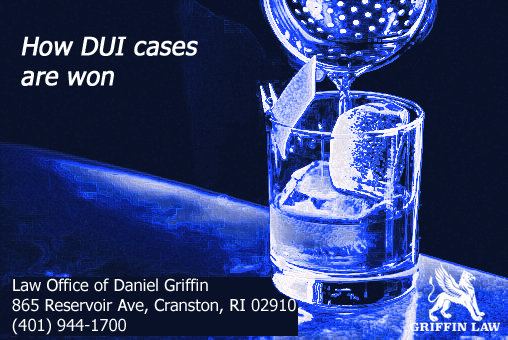 Document the movements, think about lab controls, challenge field sobriety and BAC tests, bring an expert. Go to court with: knowledge of the record, information on the law, complete recollection of the facts, and perfection of the defenses. If you do not prepare better than the prosecution, you have a high chance of losing.A great deal of cases look unwinnable at first. Most cases look along these lines. In any case, the quantity of cases that are unwinnable is pretty much nothing. At whatever point you take a machine test; breath, blood, and so forth- get an expert to challenge the results. If you are certain you’re going to trial, opt to go for a jury trial. Most DUI cases are not dismissed before trial. In any case, you should invest considerable amount of energy attempting to do that. Maybe you can discuss sloppy police tactics and get the case dismissed. This is difficult to do and requires a lot of time and energy.